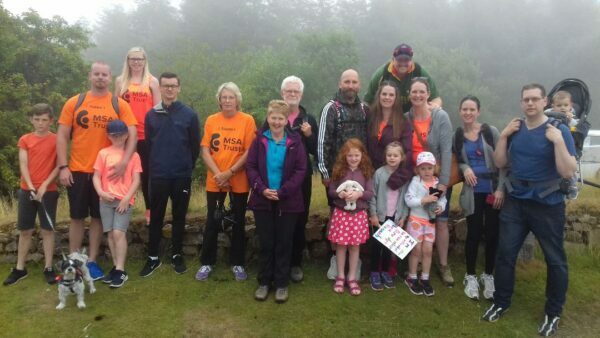 The family and friends of Stephen Harbor all got to the summit of the extremely misty Moel Famau on the English/Welsh border, all while fundraising for the MSA Trust. With kids, dogs and friends in tow, they all found their way to the top, raising over £1200 pounds in memory of Stephen, who would have been 70 the day of the trek. “The whole weekend of the South Coast Challenge was fantastic!!! !The sun shone, the hills were huge 🙂 and it was hard!!! We started at 9am and finished at 10.30pm; a huge effort from the whole group over the 55km! We met so many people and I genuinely can’t remember how many people we spoke to about MSA, the Trust and what it is; people like me who had never heard of it until recently.Thank you for your support and providing materials; all of which were utilised! 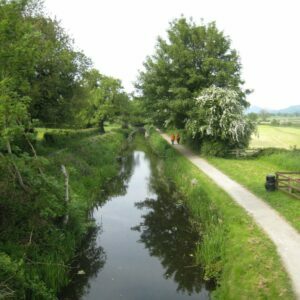 Whilst on holiday in North Wales, Pam’s friends Vera and Jane, decided to walk both the Montgomery and Llangollen canals in memory of Pam’s mum, who sadly lost her battle with MSA. 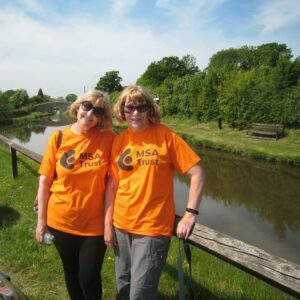 Vera and Jane managed to cover 85 miles during the week and raised over £500 in the process. What wonderful friends, thank you ladies for your incredible support and dedication! “It was both a challenge and humbling experience. We decided to get involved with this charity after seeing just what this condition can do to someone so close and how invaluable a network can be to support them. With over £500 in donations from friends, family and colleagues, the final push to Macchu Picchu became an exhilarating experience, given the support and wishes from everyone. 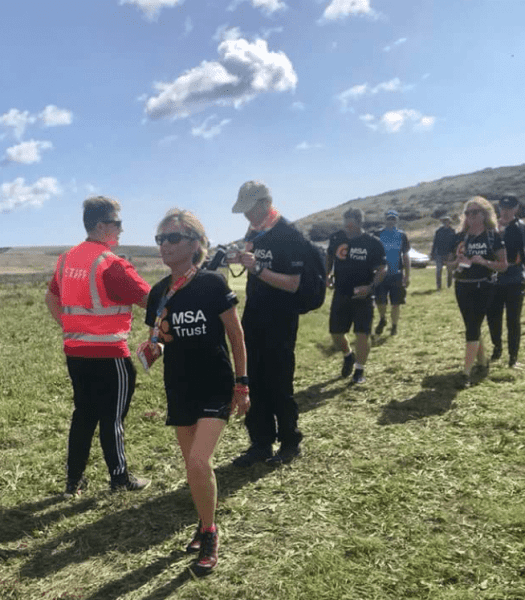 I’m now looking for the next adventure to raise more awareness of MSA and what the Trust does for those recently diagnosed and their families”. – Andy & Despina. 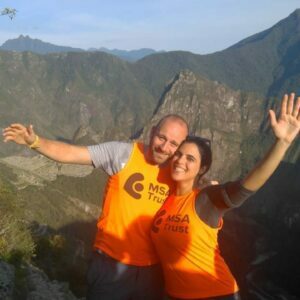 In October, Andy and Despina hiked the Inca Trail in Peru, in support of Drew’s father who has MSA and in aid of the Trust. Well done to you both on completing the trek, what an incredible way to show your support!